The role-playing game genre has become a staple of the video game scene with many of the biggest and best games of all time being RPGs. While the vast majority of these games take key elements from their 1970s pen and paper roots, most lack the real-feel of playing the classic style of tabletop RPGs. Given how popular tabletop RPGs have been over the years and how relatively simple the video game versions would be to make, it’s a shame that there aren’t more, but for now, we’re going to take a look at five of the very best. These games encapsulate the essence of the tabletop role-playing game, with plenty of storytelling, decision-making, side quests, looting, creatures to defeat, character creation, and possibly multiplayer options to enjoy. Many of the top RPG video games are adapted from original tabletop RPGs while others do well at paying tribute to the origins of the genre. Based on the tabletop role-playing game Vampire: The Masquerade, the 2004 PC release of Vampire: The Masquerade – Bloodlines was the victim of a big publisher’s release schedule. Developed by Troika Games and released by Activision, it was seen as a mostly incomplete game upon release, earning a quaint audience mostly consisting of fans of the pen and paper original. But the game which has you playing as a revived fledgeling vampire in Los Angeles who seeks the truth behind a relic which could put an end to all vampires earned a dedicated fan base committed to finishing Troika’s efforts. Through a long line of unofficial patches, the latest of which was released on 19 February 2019, Bloodlines has become much smoother and is now a very enjoyable experience. Creating a PC version of The Temple of Elemental Evil adventure from Dungeons & Dragons’ Greyhawk campaign, The Temple of Elemental Evil: A Classic Greyhawk Adventure earned a great deal of praise upon its 2003 release for its representation of the 3.5e tabletop rules. A fan-favourite element of the Troika Games creation is its use of turn-based tactical combat, but on launch, the video game was rife with bugs. Thanks to its ability to bring the classic tabletop adventure to the PC and successfully apply the then-latest D&D rule set, fans stuck by the game and continued to update it after Trokia’s three official patch releases. Prequel to Divine Divinity, Divinity: Original Sin was initially released to PC in 2014, followed by PlayStation 4, Xbox One, and Linux in 2015. , Divinity: Original Sin is clearly very heavily influenced by its tabletop roots and has been praised as a title which modernised the genre. The game’s customisation options are off the charts. Not only can you customise your protagonist, but you can even create your own adventures. Divinity: Original Sin comes with the editor and modding tool used to create the game, which was included to allow players to share their single-player and multiplayer adventures online. 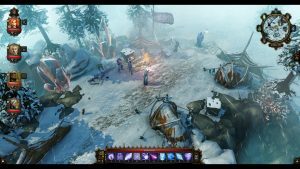 Pillars of Eternity II: Deadfire is one of the finest digital tabletop renditions to date, nearly perfectly recreating the classic form of gaming. 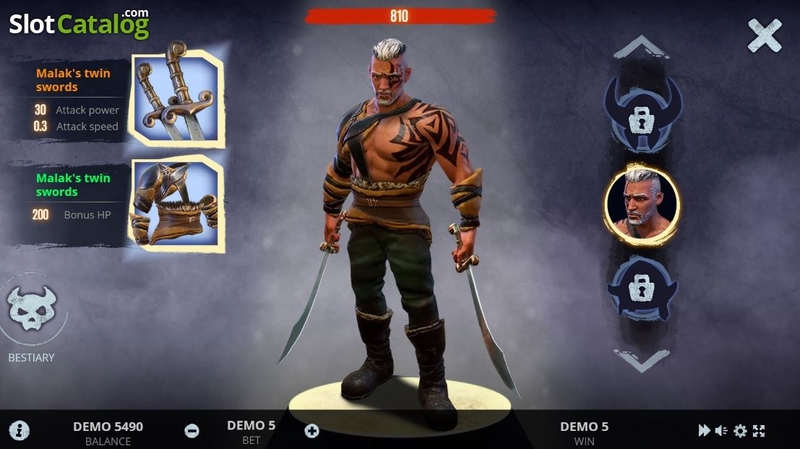 In the middle of 2018, the game was launched on PC, Linux, and Mac, and is set to arrive on the Nintendo Switch, PlayStation 4, and Xbox One in 2019. 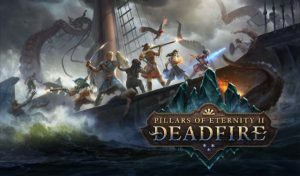 Its predecessor, the award-winning Pillars of Eternity, managed to create a new game with the real tabletop feel through taking all of the best elements of the best games of the genre, and now Pillars of Eternity II: Deadfire further expands that vast universe while injecting welcomed doses of nostalgia for D&D fans. Whenever discussing the ultimate tabletop role-playing game made for the digital platforms, Neverwinter Nights will almost always be brought up. 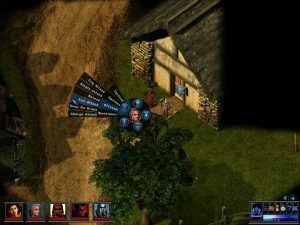 Created by BioWare in 2002 for PC, Linux, and Mac, the game’s campaign is based on Dungeons & Dragons’ Forgotten Realms with the legend’s third edition rule set used for its game mechanics. Able to be played in single-player or multiplayer, with its original release intended to be a form of massively multiplayer online game, Neverwinter Nights was very successful and was given three expansions in the form of Shadows of Undrentide, Hordes of the Underdark, and Kingmaker before its sequel, Neverwinter Nights 2, hit the shelves in 2006. In 2018, Beamdog released an Enhanced Edition of the classic game, giving it new life in the modern gaming space. These superb role-playing video games do a grand job of delivering a comprehensive RPG experience akin to that of classic tabletop play.